The resume, an old format with a vital story to tell. Aside from the most important piece, your portfolio, it is an important aspect of the interview process. For Design IV, students were instructed to complete resume designs. Different resumes portrait different tones and feeling from "corporate" to "playful" to "structured." 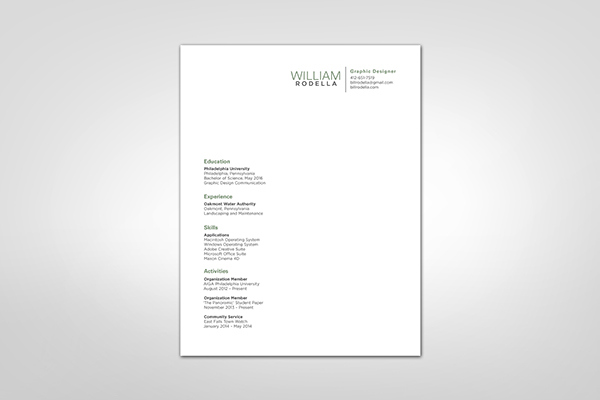 A good resume can show your proficiency in typographic hierarchy as well as organization. 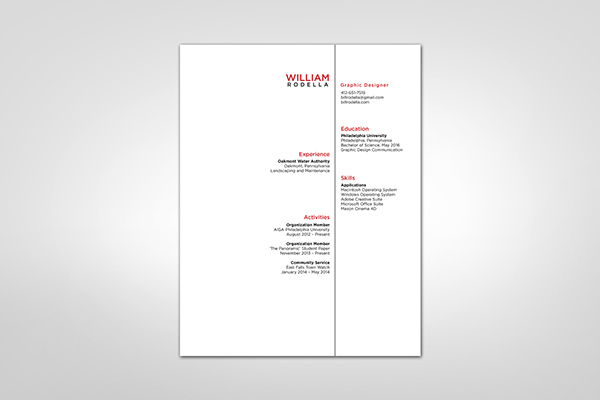 Resume designs that convey hierarchy as well as organization.